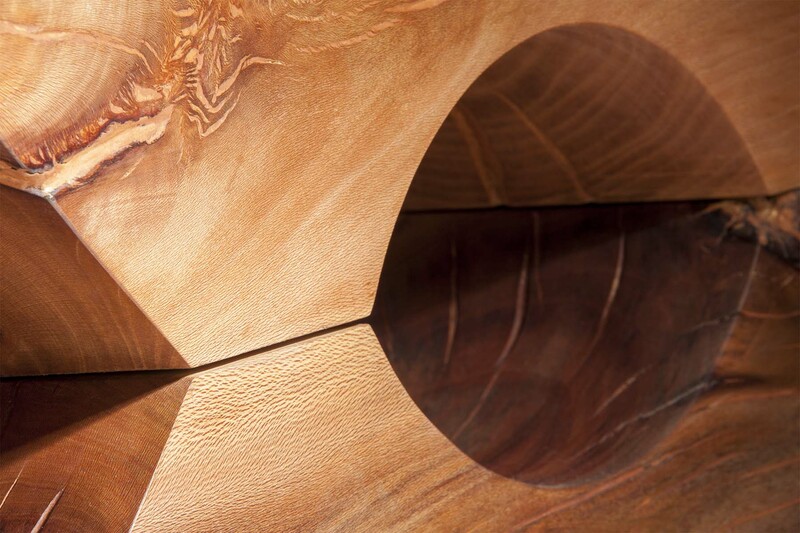 Abstract bench made in solid wood. Conceived as an art piece; many of us had the luck of growing up in a house with a patio or a backyard where these type of wood clothespins were used to hang up clothes. The intention is to remind us of those times with a bench that works as an art object, even when it’s not being used. Completely handmade with solid wood and natural oil finish. Options: types of wood, oil finishes for indoor or outdoor use.